WASHINGTON, Jul 10 2013 (IPS) - In May 2011, almost a year and half after a Tunisian street vendor’s self-immolation sparked waves of revolution still rocking the Middle East, Bahraini journalist Nazeeha Saeed was tortured during her 13-hour detention before signing a confession she was not allowed to read. 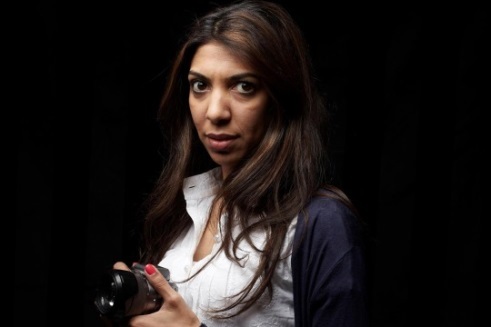 Q: What is press freedom like in Bahrain? A: Since two years ago, it has not been easy for us journalists to work. The freedom we were used to has been reduced. We have to be careful with each and every word we write and say in our coverage. We can be arrested; we can be interrogated just for using certain words. Q: What happened two years ago? A: Two years and four months ago the uprising started in Bahrain. People went into the streets inspired by the Arab Spring, asking for more freedom, democracy and accountability. But there was a huge crackdown and maybe that’s why people in Washington and other cities don’t really know what happened. Q: Can you describe what happened to you while in police custody? A: On May 22, 2011, I got a call to go to the Ministry of Interior for questioning. Sometimes they come to your house, sometimes they call. I am a journalist. I thought it would be good to cooperate. I thought it wouldn’t be more than a couple of hours so I didn’t inform my family, I only told France24 on the way to the station. Q: What did they charge you with? A: There were three charges. Fabricating reports and news, dealing with Iranian and Lebanese channels that I have never worked with, and they accused me of being part of a terrorist cell – its media element. Q: What did you sign? A: I don’t know. I wasn’t allowed to read the document. I was just shown the place where I was supposed to sign. Q: Bahrain’s government argues the protest movement has been incited by Iran. You interviewed many of the protestors. What is your take? A: Such a thing never came up Pearl Roundabout. I never saw an Iranian influence. I can’t speak on behalf of all the protestors. Maybe some of them are allied with Iran. I’m not sure. But the protestor’s demands are obvious. Some said they wanted to overthrow the regime, but that’s an example of freedom of speech. The protestors were demanding freedom, democracy, accountability and the end of corruption. Q: What can Washington do to support the movement for democracy and human rights in Bahrain? A: I need support from any human being in this world. This is my story and I didn’t get justice. All governments, be they American, British or any other, should influence my government to implement fair trials and to stop harassing journalists. One of the few chances the West has to show that it’s not anti-Shia, but rather, anti-despot and it’s blown it.